An Epic Journey For A Taste Of Home! A few months ago I started a new job. I stopped being an animal trainer and behaviorist and started becoming a liquor store manager. Kind of a radical job change eh? The biggest reason I changed job titles was due to stress over some recent experiences that I'd encountered in the animal industry since I'd come to Australia and it had got to the point where it felt like I couldn't come home without needing three or four beers or whiskies to just see me through to the next day. Now that might sound like I'm an alcoholic, or something along those lines. But it had got to the point where seeing animals that I cared for, stressed over their well being and loved not receiving medical attention for serious injuries, being pushed past any reasonable expectation of what any animal can give. Of people valuing the money they made off animals more then their responsibilities to care for the animals under their care. So I needed a job change and badly. And I'd take just about anything as long as it paid. Luckily I got a good job. My brother in law received an email newsletter from the International Beer Shop saying that their sister store needed a new Store Manager. It'd been over ten years since I'd ran a store, but I figured what the hell? why not?! I felt like I stuffed up both the resume and interview, but I do tend to be quite critical of myself, lying awake at night going over what I should have done, what I should have said. Thankfully for me the owners believed that was full of garbage and that I was perfect for the job. 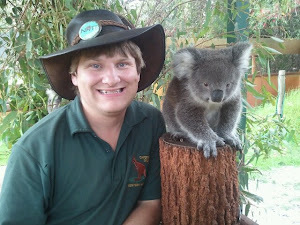 Put in my notice to the current job, waited out the two weeks, kissed my animal friends good bye and started over. During the first few days it became obvious that I was a whisky geek to everyone in the business. It having already been obvious to all the senior staff at the interview that I was a whisky geek. My new job didn't sell whisky due to the license they operated under, but our sister shop, The International Beer Shop, did. When they found out, the shop manager over there suggested that I come on over so that we could talk beer and whisky and maybe we could give one another ideas about the other persons ideal drink of choice. Cruising their website my second week on the job I discovered that they had a whisky that I'd ALWAYS wanted to try. Running at a steep $165 AUS. I contacted the store manager, asking him if he wouldn't mind putting the bottle aside for me. He said not a problem. He also informed me that it was the last bottle in Australia and odds were better then great that no more would be coming into the country. I spent a very restless night, but come morning it was time to catch a bus and train to go meet the guys and get my whisky. Why was I catching the bus and train you might ask? My wife had the car for her job that day. But I wasn't too stressed, my trusty phone has a map that I've used many times in the past to get me where I was going and I'd been to the IBS once before a couple years prior with my brother in law to pick up some beer. It shouldn't be a problem to get there. So I catch the bus to the train station, hop the train and get off at my stop. I pull out my handy dandy phone and pull up the map. It says I'm just a mile away. No problem! I walk that far for fun! I'm two miles away now. Ok let's follow these ones. Now I'm five miles away!? I again and again follow the directions, and each time it changes. I stop and ask for directions again and again, but no one knows where the shop is. I finally cross the train tracks again after massive frustration, trying to restart my journey. This time it tells me to go right instead of left. But don't worry, I'm only a mile away. I follow the directions right, cross several major roads and continue following the directions. This time it takes me left to go closer, and then tells me I've gone several miles further away. Then it tells me to go right and now I'm four miles away. I pick the main drag as my phone starts to die and start walking straight. I know the street address, I was there a couple years ago, I have a vague idea of the scenery and hopefully someone will have some directions. Every time I try to use the phone it takes me further and further away. After I've gone several miles on foot I come upon a post office. Hopefully they'll know where the street I'm looking for is! I go in and I must look frazzled as can be. I ask him if he knows how to get to the main street that the shop is located on. He says indeed he does and that I'm only a few blocks away. ten to fifteen more minutes walk and I'm there! So I set out again with a renewed drive to get to the shop and get my whisky. looks semi familiar, then I see the shop! I head into the shop and take a look around. This is what greets me as I walk in. carrying something over 900 different beers and cider. On the wall behind the managers desk sits roughly two dozen bottles of whisky. I introduce myself to them and we start talking beer and whisky. Which is better and why. They're convinced that beer is better. I inform them sadly that they're wrong, that whisky is better. After 40 or so minutes of talking shop I grab my whiskies, the Stranahans and Four Roses Single Barrel Bourbon, wince at the damage, after my discount just a tad shy of $250 AUS and head home. I walk back to the train and head for home. This is the last bottle of Stranahans in Australia. This is a whisky to be savored and respected. I set aside both the Four Rose and the Stranahans for a special occasion. A few weeks ago that occasion occurred. My brother and sister in law bought me and my wife a 50 inch plasma screen HD 3d TV with net capabilities. A dream come true! Something that I've ALWAYS wanted. When I come home from work that night to see this MASSIVE TV sitting in my living room and see who's responsible I KNOW that a special bottle needs to be opened this night. I give my brother in law the option of any of several unopened bottles to choose from and he decides on the Stranahans. Very cool looking bottle. Really long neck with a metalish top that covers the neck. It's batch 47 and on the comments section of the label it states "Listening to Jon Stewart." I let my brother in law crack the bottle and then pour drams for all of us. Now in the Whisky Bible 2012 it received a 90.5 and it's described as "a real complex, mildly schizophrenic bottling which just entertains all the way. Superb!" I do believe that's a really good description of this whisky. As we nose the glencairns almost in unison my wife and brother in law state "Smells like apple pie"
I get that, but cut grass also. Vanilla, cinnamon, apples, citrus, bananas, barley, cut grass, caramel and more. We spend about five minutes calling out different items that we're picking up. We all get vanilla and apple pies, I seem to be the only getting cut grass though. When we take a drink there's a slight intensity of vanilla, bananas, some of those apples and vanilla, and weirdly enough a hint of peat? I didn't think this was a peated whisky, but we're getting just a little touch of peat to the flavor. The finish is LONG with banana, spices, and oak. Man I've wanted to try this whisky for a LONG time and this is one of those times where the anticipation wound up meeting expectations. Definitely a special occasion whisky and one that I'd love to drink again and again. Sadly this is the first and only time I've ever seen this whisky. Period. However I will be contacting the distillery and attempting to get some sort of shipments as they release their batches because this is an AWESOME whisky that doesn't taste like it's the two years listed on the label. If you're lucky enough to see a bottle of this, BUY IT! If nothing else I'll take it off your hands.